Want to try a using a different kind of dorm room decor? Our Carnivale Design Peel N Stick dorm wall sticker is not your basic dorm room poster. A unique and cute combination of wallpaper and poster type decoration, our Peel N Stick dorm room sticker will give your college space the fun look it needs. Pink, yellow, and orange always look great together. 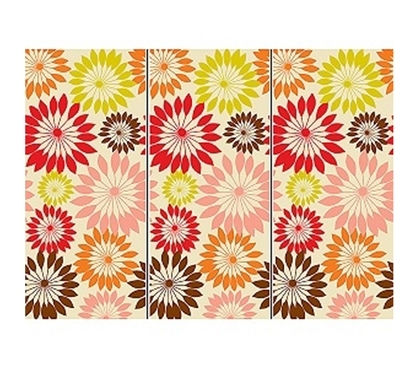 Our Peel N Stick dorm wall sticker set comes with three different strips that you can position any way you'd like. Keep them all together or stick them around your dorm room. Either way our stickers will make your college dorm room colorful and cute. With dimensions of 17.25'' x 39'' our wall stickers are made to fit perfectly on college dorm room walls. You can't wallpaper your college dorm room, but you can add cute wall stickers to your college decor supplies. 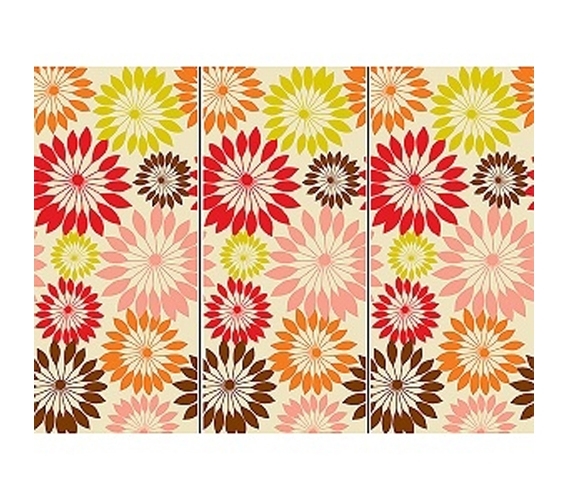 Transform your room from plain to pretty with our Carnivale Design Peel N Stick dorm room wall decorations. 100% guaranteed not to damage or leave behind residue on college dorm room walls, it doesn't get any more college-dorm-room-friendly than our wall stickers. Decorate, design, and dramatize your college dorm room with our Carnival wall stickers.